Remember when the first Charlie’s Angels movie came out, and it was much less terrible than we’d all expected – mostly thanks to Bill Murray? So much so that people marveled? Who’s this McG person, I’m sure someone said of the newcomer director. Look at his loose comic style and action movie flair. Well, five tired films later, not that many people are still buzzing about McG, and his latest, 3 Days to Kill, isn’t likely to change that. 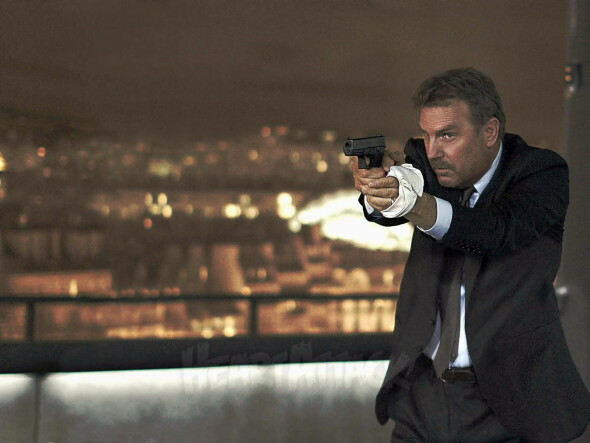 Kevin Costner stars as Ethan Renner, an aging CIA assassin with a bad doctor’s report who wants to spend what little time he has left in Paris with his estranged family. But a mysterious upper level agent (Amber Heard) offers him an experimental drug in exchange for one last assignment. Little more than another riff on the old stand-by Luc Besson tale (who produced and co-scripted), the film feels worn out before it even gets started. Costner’s casually humorous presence gives the movie some heart and McG coordinates some car sequences with a panache reminiscent of his earlier work, but otherwise you can expect a mishmash of every theme, scene, lesson and cliché in Besson’s arsenal. Heard proves again that she doesn’t have the chops to act her way out of one-dimensional roles or the charisma to leave a mark within them. Hailee Steinfeld, playing combustible teen Zooey, does not use this particular project to live up to the promise of her spectacular performance in True Grit. Connie Nielson is wasted as her mother. A blandly derivative middle age fantasy, 3 Days is about on par with everything else Besson, McG, Heard or Costner has done in the last few years. Maybe we can still hold out hope for Draft Day? ← We’re Going to Need Another Bodice!